"Had an epic trip. The weather wasn't the warmest but just added to the trip. My guide..."
"The staff were all very professional. They clearly had their clients well being at..."
"What a trip of a lifetime! 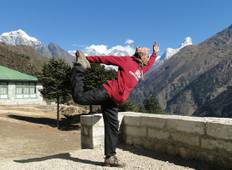 In a trip this technically it really matters that the..."
"I joined Santosh and a group of 3 for the Everest Base Camp Trek (EBC) for 14 days...."
"Being a part of the Middle Path Movement Everest yoga trek with Nepal trekking routes..."
"Just returned after the Everest Base Camp Trek with the Escape Himalaya Trek. We..."
". Excellent services from begining to end. Everything was well organized and on time...."
"I came to nepal in the last days of may. 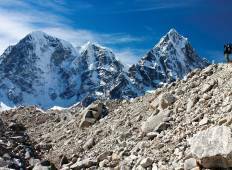 My burning desire is to conquer Everest...."